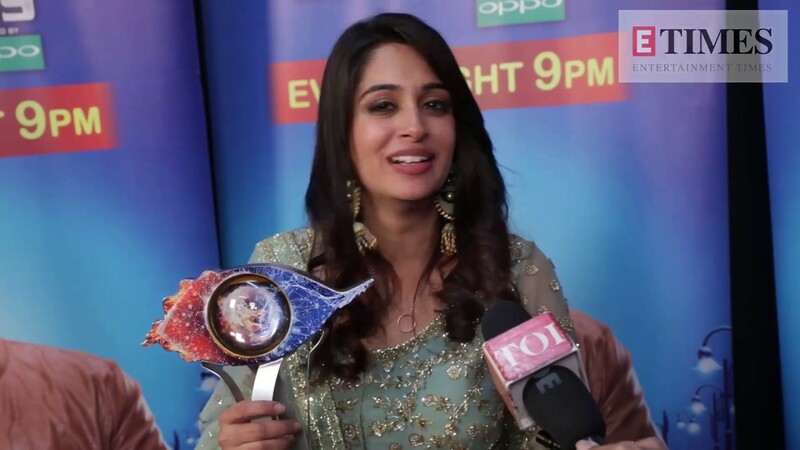 One of the most popular TV actresses is Dipika Kakar who is currently seen in the Bigg Boss house. The actress has worked in a lot of shows but the show that got her to fame was the one that was telecasted on colors TV, Sasural Simar Ka. It was not acting that was her first career option. Prior to working on the television, Dipika Kakar worked as an air hostess. Here are the top 10 must know things about Bigg Boss 12 Winner Dipika Kakar. Dipika Kakar has already won hear of many people with her acting skills and now she is also rocking it inside the Bigg Boss house. While many are finding the actress to be genuine there are many who believes that she is faking it entirely. Be it her attitude in the show that is very calm or be it her controversial sister- brother relationship with Shreesanth where she is always found pampering the latter instead of focusing on the game. Here is all that you need to know about her. One thing that has been much noticed about her in the Bigg Boss 12 house is her culinary skills. Another characteristics of her that gets her to lime light is her affectionate personality. It was nearly a decade back when she shifted to Mumbai so as to give her career the desired wings. Initially she survived in the city by working as an air hostess. She was then able to secure her first lead role in Neer Bhare Tere Naina Devi which was a show telecasted on Imagine TV. Once she got the show there was no turning back though her actually take to fame was not this particular show. After Neer Bhare Tere Naina Devi she worked in Agle Janam Mohe Bitiya Hi Kijo and finally came across Sasural Simar Ka. It was this show Sasural Simar Ka that made her a star. After working 8 years without break she let her skills at fiction TV to rest and headed towards reality show. She was a participant in the popular dance reality show, named Nach Baliye. The actress participated in the show with Shoaib Ibrahim. At present she is one of the most highlighted contestants of the reality show Bigg Boss 12. though there are many in the house who find her faking her personality but we think that she is genuinely this way. However, the moment she starts pampering and giving undue attention to Shreesanth, who she calls Bhai in the show it begins to get a little creepy. Dipika Kakar was married to Raunak Samson who is a pilot while she was working in Sasural Simar Ka. She met Raunak while working as an air hostess and had tied the knot with him. Dipika met Shoaib for the first time on the sets of Sasural Simar Ka. Because she was reported to date Shoaib Ibrahim while still being married to Raunak, it tentatively as the reports say became the reason for the unfortunate ending of her marriage with Raunak. The story dates back to 2012. Dipika Kakar married Shoaib Ibrahim in Shoaib’s hometown Maudaha Hamirpur, UP by following the rituals of a nikaah ceremony. One of the major reasons that shrouded her into the controversy was her affair with the co-star Shoaib Ibrahim because at that time she was still married. Another reason that surrounded her with controversy was her accepting and converting to islam post her wedding with Shoaib and changing her name to Faiza. All in all, these are the top 10 must know things about Bigg Boss 12 Winner Dipika Kakar. If you are a big fan or claim to be a big fan of Dipika Kakar, then you ought to know these all. In case you have some other favorite too about whom you wish to know more and unique facts then you may drop us the name in the comment section below. We will reach out to you soon with the article on the same.